This lovely two-bedroom apartment in Barcelona, situated in the Sant Pere neighborhood, is in a fantastic city center location, within walking distance of many of the city´s top sights. The cozy feel of this lovely locale is sure to make guests feel right at home. The charming living room has a comfortable sofa, and a TV with Satellite, making it a great spot to kick back after a day around Barcelona. An Internet connection is also available making it easy to stay in touch with friends and family back home. The fully equipped kitchen allows guests to create their favorite home-cooked meals, all in the comfort and privacy of this idyllic apartment. The main bedroom has a double bed, while two single beds can be found in the second room, meaning that this apartment can accommodate up to four people. This locale has one bathroom fitted with a walk-in shower. 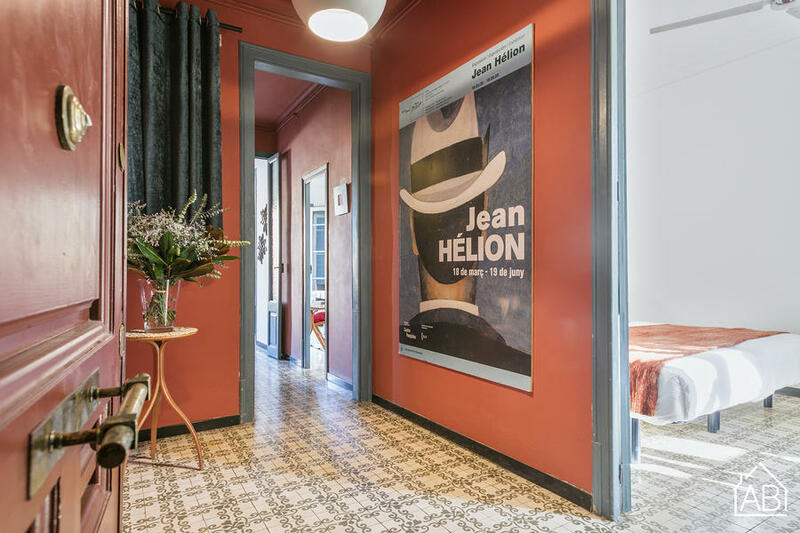 This Barcelona apartment, situated in one of the city´s most beautiful areas, is a great choice for those who seek a comfortable place to call home during their trip to the Catalan capital, any time of the year!